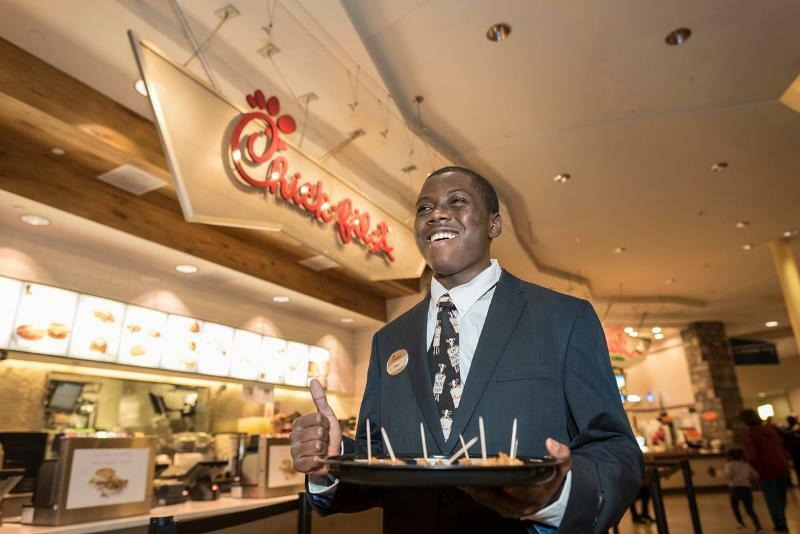 Chick-fil-A narrowly beat out Chipotle and Hardee’s to be named by consumers as the best service provider among the nation’s limited-service restaurant chains. Subway and Arby’s also ranked among the top five. The ratings are based on surveys conducted by Temkin Group, a service research and consulting firm. Temkin asked 10,000 consumers to score their recent experiences at limited-service chains on three criteria: How easy it was to order, how easy it was to navigate the process and how they felt about the interactions between themselves and the staff. The three scores were then combined into a percentage. Chains with a score of 80% or above were given an “excellent” rating, while chains above 70% were given a “good” rating. None of the chains were given a “poor” rating, or a score below 60%. Here’s how the Top 24 stacked up, along with their scores.